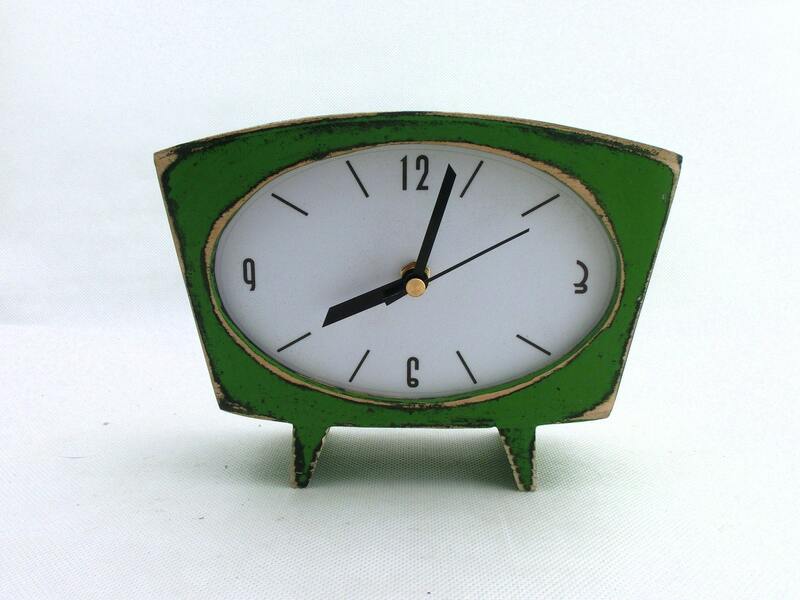 NO TICKING Desk Table Green clock the best gift ideas in vintage style. 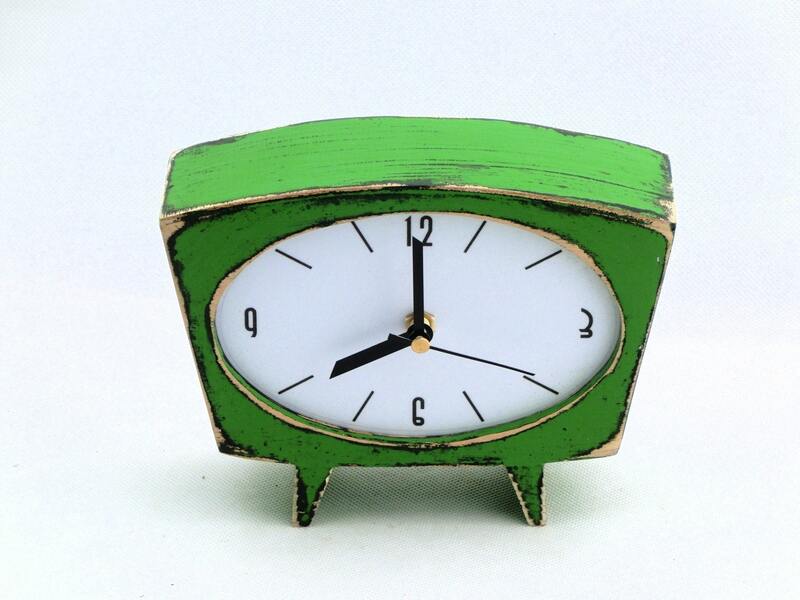 Home decor Desk Clock it's made solid wood and plywood. 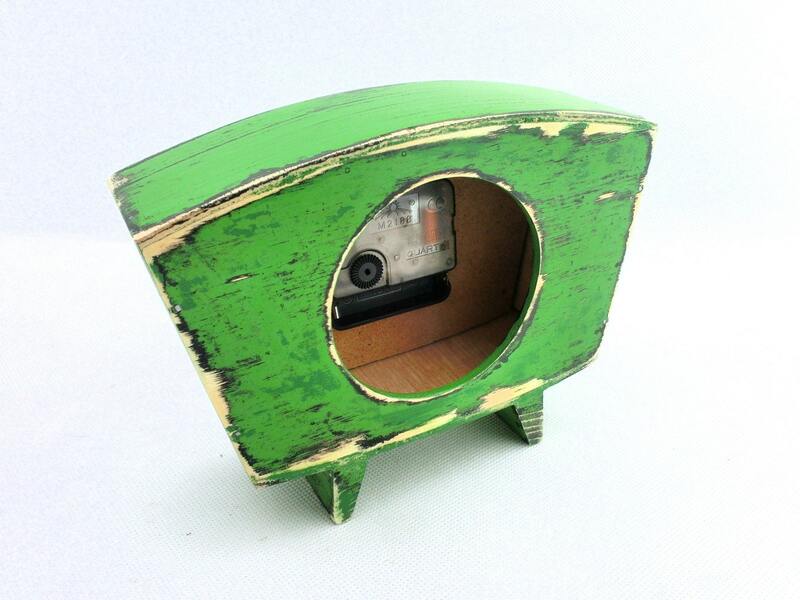 Unique gift will be perfect for anyone on any occasion like wedding, birthday or Mothers day gift. 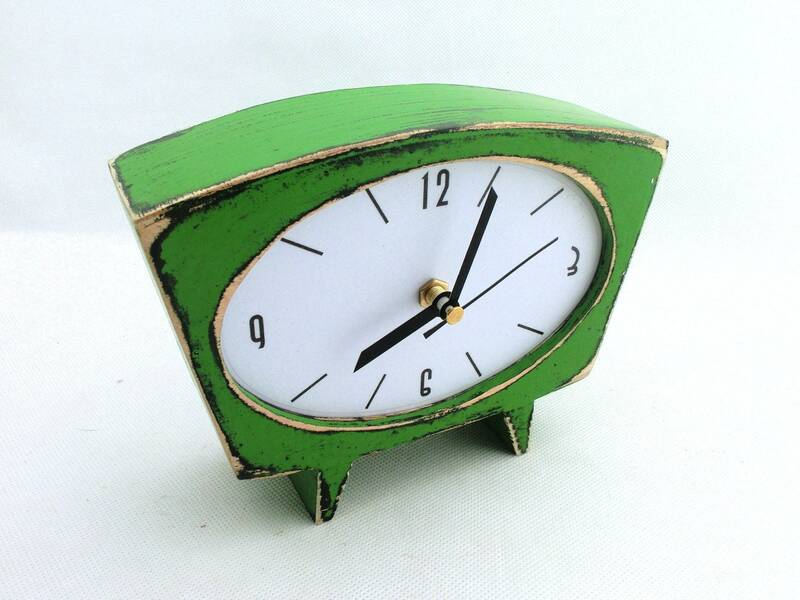 Wood Green Clock is handmade and handpainted with acrylic paint. 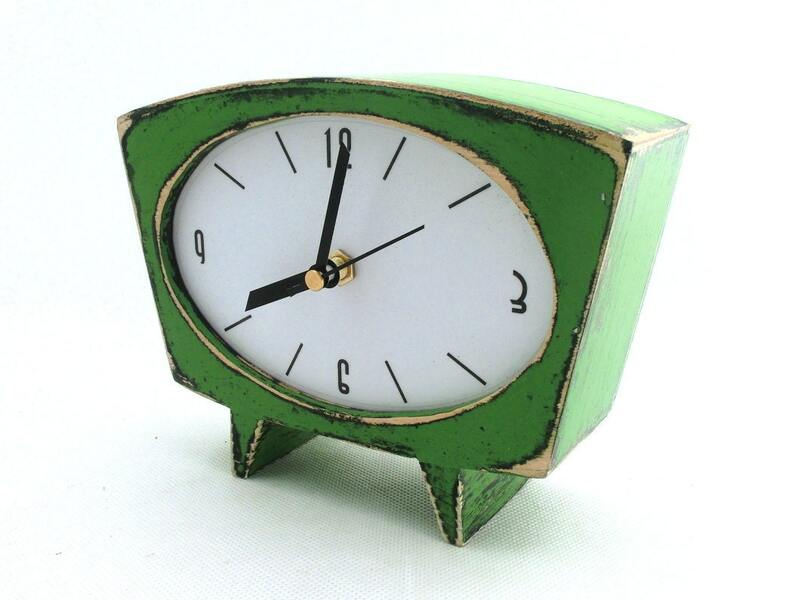 This 60s vintage style wooden Clock is protected ecological varnish. The no-tick clock is absolutely cool, and looks even better in person. I highly recommend this item!